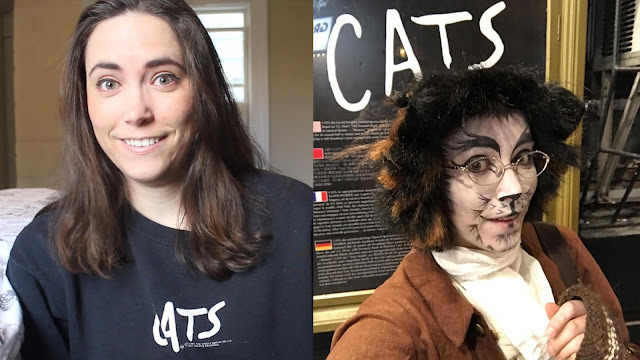 My experience seeing Cats in costume! Watch me embarrassingly fangirl over Tyler Hanes and MORE in this video that makes you question the fact I'm a 30-year-old adult married woman and not a 14-year-old obsessed teenager. #tbt #throwbackthursday to the wonderful experance I had seeing @catsbroadway in costume! The cast was so kind and a pleasure to meet! 💕🐱 I made a video about the experience. (Link in my Insta bio) Thank you for putting on such an amazing performance and being so great to your fans!